It can be used for for nearly all purposes : Internet marketing, Product Launch, and so on. It can easily be adapted and customized. Increase your sales today! Clean, Simple and Responsive, FlexLand is built using HTML5/CSS3 with major cross browser compatibility (IE8+) and W3C compliancy. 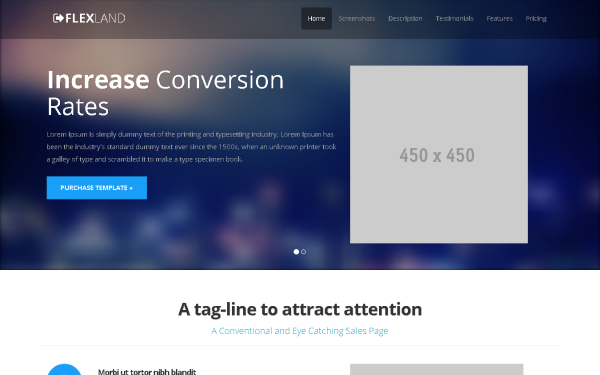 Item Reviewed: FlexLand Bootstrap3 Landing Page Theme 9 out of 10 based on 10 ratings. 9 user reviews.